Born in New Orleans on November 19, 1848, Warren Easton graduated from Louisiana State University in 1871, taught in Baton Rouge schools for two years, and returned to New Orleans to teach at Magnolia, Jackson, St. Philip, and Fillmore Public School of which he became principal. From 1884 to 1888 he served as Louisiana Superintendent of Education. In that position Easton established the State Normal School in Natchitoches (which is now Northwestern State University). On October 11, 1888, he was elected Superintendent of New Orleans Public Schools and served until his death in 1910. At that time the system had 414 teachers of 24,800 students in 51 schools. In 1910, when Easton died in office, there were 1,122 teachers, 38,098 students in day classes, and 87 schools (105 teachers of 4,035 students worked at nine night schools). During his twenty-two-year tenure Easton launched classes in calisthenics, drawing, and music. He submitted the first typewritten superintendent's report on January 11, 1889. On November 2, 1905, forty young men enrolled in public schools' first short-hand, typing class. On October 15, 1894 Easton inaugurated fire drills in schools, and on September 25, 1906 he required compulsory smallpox vaccinations of students. Easton fought to set regular paydays for teachers and endorsed and established the Teachers' Pension League. He organized the Louisiana Teachers Association and served as its president. He was active in the National Education Association, New Orleans Educational Association, and the Public School Alliance. Married to Camille Hart, he died in New Orleans on October 17, 1910 and is interred at Greenwood Cemetery. Warren Easton school was named for him in 1911. Principal Francis Gregory and the entire faculty moved into the new school at 3019 Canal Street.in 1913. In 1952 the school became co-ed and in 1967 was racially integrated.Warren Easton school celebrated its 100th year anniversary of the opening its current location on September 16, 2013. Students of note who attended Warren Easton include Henry Boh (Class of 1911), O. Perry Walker (Class of 1918), Mayor Victor Schiro (Class of 1922), Harold "Hoss" Memtsas (Class of 1932), John T. Curtis, Sr. (Class of 1938), Cosimo Matassa (Class of 1941), Eddie Price (Class of 1943), Al Belleto (Class of 1944), Pete Fountain (Class of 1945), Lester Kennedy Class of 1950), Sheriff Charles Foti, Jr. (Class of 1953), Ronald McDonald (Class of 1954), and Lee Harvey Oswald. Writer, literary critic, and editor for The New York Times, Anatole Paul Broyard (born in New Orleans on July 16, 1920) died on October 11, 1990. Fort Macomb at Chef Menteur Pass, built in the 19th-century, was added to the National Register of Historic Places on October 11, 1978. Elise, a native of Germany, came to the U.S. in 1906. She passed away on October 11, 1967 at the age of 80. Their business at 2600 St. Charles Avenue also served as their home. Their nursery was on Jefferson Higway near Kenner. Pictured on the right, an October 29, 1954 Times-Picayune advertisement for Scheinuk's St. Charles Avenue florist shop. Born on September 26, 1918, Fred James Cassibry received a B.A. from Tulane University in 1941 and an LL.B. from Tulane Law School in 1943. After serving in the Navy during World War II he became a field examiner for the National Labor Relations Board from 1946 to 1948. He entered private practice in New Orleans from 1948 to 1961, and was a New Orleans City Councilman from 1954 to 1961. He was a judge on the Civil District Court for Orleans Parish from 1961 to 1966. On October 11, 1966, Cassibry was nominated by President Lyndon B. Johnson to a new seat on the United States District Court for the Eastern District of Louisiana created by 80 Stat. 75. He was confirmed by the United States Senate on October 20, 1966, and received his commission on November 3, 1966. He assumed senior status on March 15, 1984, serving in that capacity until his retirement on April 3, 1987. He died on July 6, 1996. October 11, 1937 -- Legal documents bound by WPA Bookbinding Project. In 1937 the federal Works Progress Administration employed workers in New Orleans who were cleaning, repairing, and/or rebinding 100 books per day. They had received 21, 687 textbooks from seven cities near New Orleans. Three-hundred people were employed in the state at an estimated cost of $200,000 including $9000 for materials. State Superintendent of Schools T.H. Harris wrote that it is "one of the most important projects the federal government is undertaking". James H. Crutcher, state WPA administrator said the project "Saves Louisiana tax payers thousands of dollars". 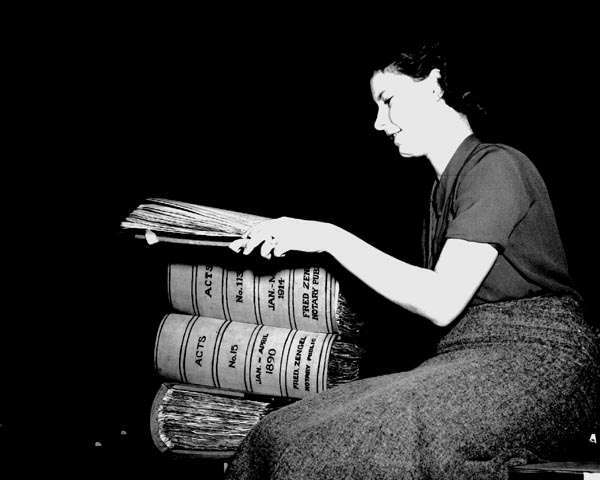 By 1938, 66,830 discarded textbooks had been cleaned and repaired. Henry L. Fuqua, 38th Governor of Louisiana, who defeated defeated Huey Pierce Long, Jr., in the Democratic gubernatorial primary of 1924, died in office on October 11, 1926. He was succeeded by Oramel H. Simpson. In 1916, Fuqua became the warden of the Louisiana State Penitentiary at Angola. He held the position until he became governor. Walter C. Flower, the 44th mayor of New Orleans (from April 27, 1896 – May 7, 1900), died at his country home in Covington on October 11, 1900 at the age of fifty. He is buried in Metairie Cemetery. 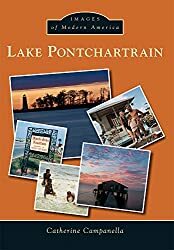 On December 1, 1898, Ormond plantation was purchased by State Senator Basile LaPlace, Jr., son of New Orleans pharmacist and land owner after whom the town of LaPlace is named. Mr. LaPlace was a well-known Justice of the Peace and then as a state Senator, and also successfully managed the LaPlace land area left to him by his father. Legend has it that on the night of October 11, 1899, Basile LaPlace, Jr. was shot and hung from one of the oak trees on the property by members of the Ku Klux Klan after a prior disagreement, according to http://en.wikipedia.org/wiki/Ormond_Plantation_House. When Union troops were on the verge of invading New Orleans, Confederates quickly removed millions of dollars of gold to a "safer" location, the city of Columbus, Georgia. The gold was temporarily stored at the Iron Bank by William H. Young. On October 11, 1862, General P.G.T. Beauregard was ordered to take the gold from Young's bank in Columbus. Young refused to release it, but was compelled to do so by force. According to Beauregard's biography, "What became of that coin is a mystery." On the Fourth of July, 1858, Senator Jefferson Finis Davis, future President of the Confederate States of America, delivered an anti-secessionist speech on board a ship near Boston. He again urged the preservation of the Union on October 11, 1858 in Faneuil Hall, Boston.